Recently, I received an e-mail from someone (who I decided should remain anonymous here), asking if there was a way to resign game saves on the Xbox 360 as easy as the PS3 with no modding required. I'm glad he/she asked, because just a few days ago I had to resign a Lost Planet 2 game save on the Xbox 360. But yes, resigning game saves on the Xbox 360 is just as easy if not easier than the PS3. The first thing you will need to accomplish is to configure your USB stick in order for the Xbox 360 to read and write files to it. 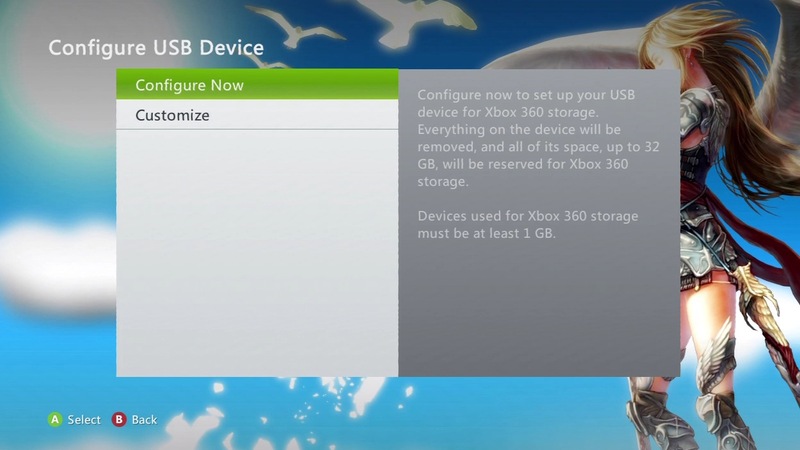 This can be easily done by inserting a USB stick in your Xbox 360, going to System > Storage, select the USB stick and select "Configure Now". 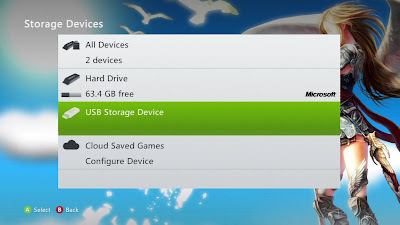 When it's done configuring, copy any of your own game save to the USB stick from your profile. It doesn't have to be from same game as the one you're trying to resign. You will now need the game save you wish to resign. 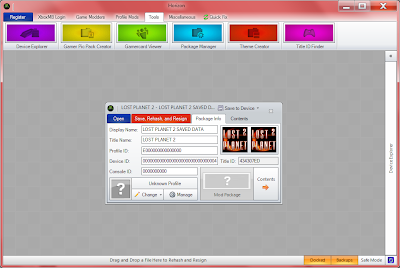 For this guide, I'll be using a Lost Planet 2 100% save I downloaded from a gaming forums. The game save has to be a complete game save and not a character save. If you want to learn how to resign character saves, go down to the section labeled "How to Resign Character Saves". Put the game save somewhere you can remember. 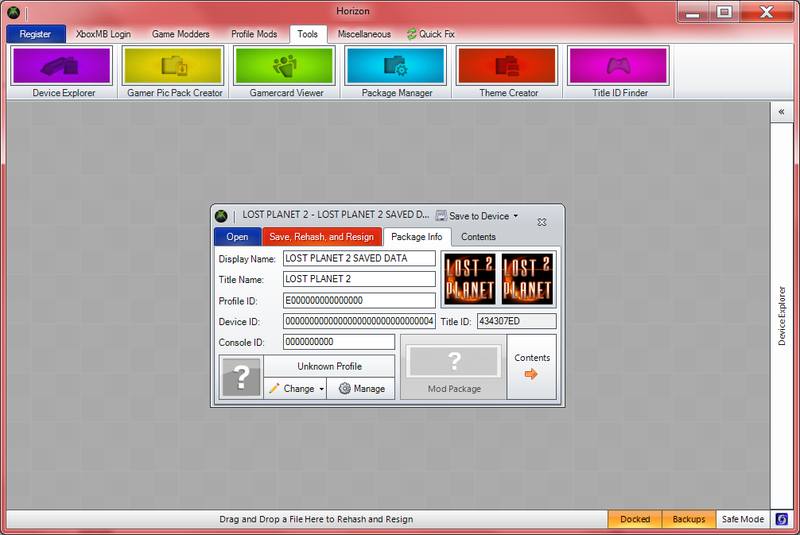 Horizon is a tool set for working with Xbox 360 configured USB devices. It has a built-in save resigner tool and that's what makes it important and crucial for this guide. You can download Horizon here. It is freeware. Once downloaded, run the installer to install the program. Do not launch it yet. Plug in your USB stick to your PC and then run Horizon. Proceed to update the software if necessary. 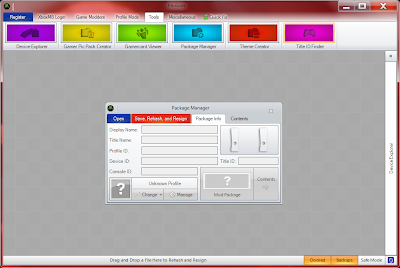 When it opens, click on the "Tools" tab and then click "Package Manager". 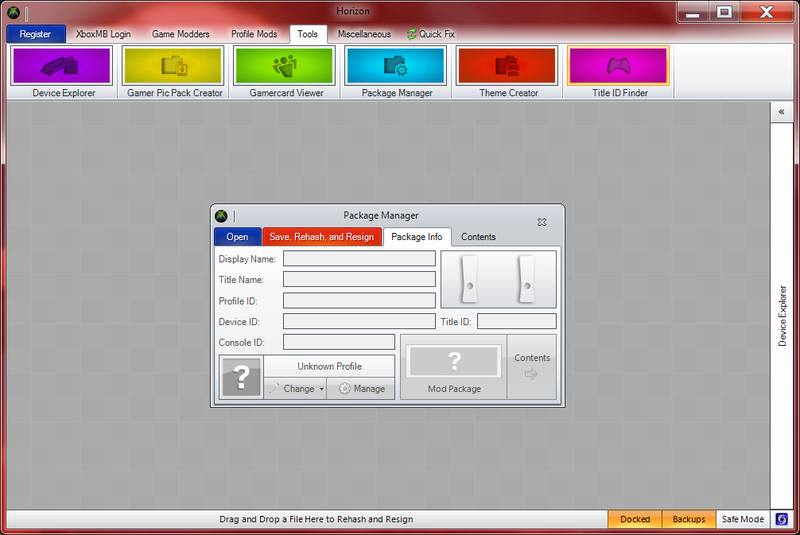 It should launch a new Package Manager window. Click the blue "Open" button and select the game save file you wish to resign. Click the "Device Explorer" tab on the right. It should spring load the explorer window with your USB stick contents. Now, what you want to do is to copy the "Profile ID" of the game save from your USB stick and paste it to the "Profile ID" of the game save you want to resign. Leave the "Console ID" and "Device ID" alone and do not copy it over. 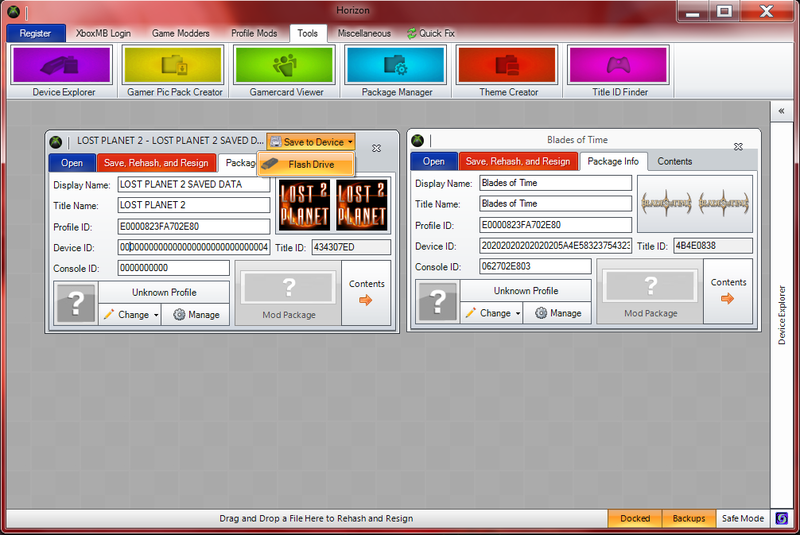 Once that's all done, click the red button labeled "Save, Hash, and Resign". 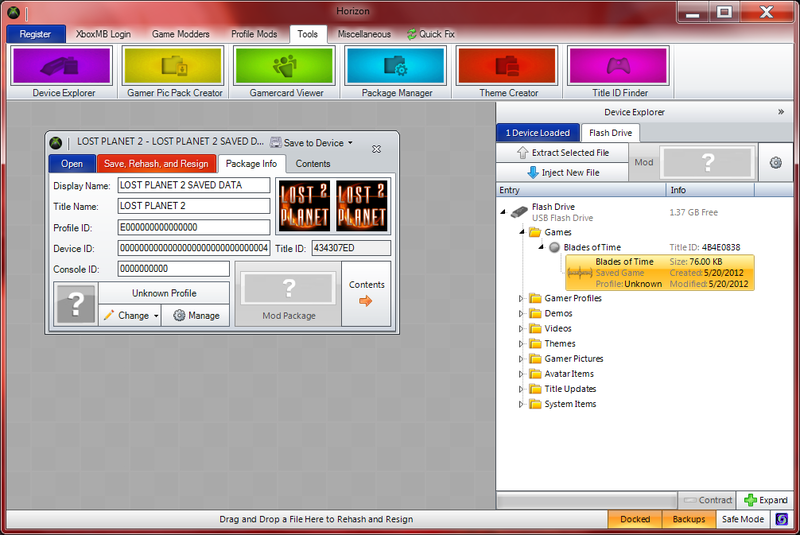 Now, click on "Save to Device" and select your flash drive. Click "Yes" to the confirmation dialog. Remove your USB stick from your PC and plug it back into your Xbox 360. You can either now just play your game and launch the game save directly from the USB stick or copy it back into your Memory Unit or HDD. Sometimes you may encounter or want to resign a character save rather than a complete game save. Character saves are usually labeled as SaveGame.sav while complete saves are Save0001.sav. What you want to do here is to create and save a dummy character in your game, copy it over to your USB stick, then open the game save in Horizon. Click the "Contents" tab. 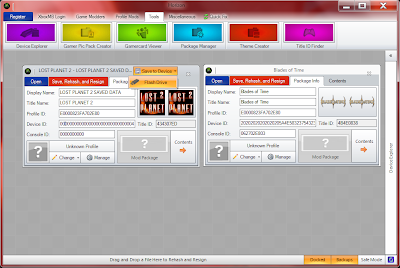 Right click the "Entry Name" and select "Replace". Select the character save you downloaded/obtain. Don't forget to click "Save, Hash and Resign". Afterwards, you should be good to go. Please post a comment directly in this post or send me an e-mail. Buy Nintendo DS Game UK with Go2Games at competitive rates and enjoy best gaming experiences as they offer unparalleled graphics. G2G provides all sorts of games and consoles that are best deals for the gaming lovers. I got the xport base so no need to disassemble the hd for me.I was a little pissed it didn't come with a usb cord but luckily I have a few spares it is really an easy product to use and thanks for the post and exploits some of us don't have 50 hours a week to play games so we use devices and cheats like these see you on modern warfare. Hello, I've read about 15 of these how=tos and yours is the first one this noob could follow fairly well. Microsoft had me delete my unbeknownst to me Offline profile while having password problems trying to get onto Xbox Live. Once they had me download the Online profile, saves came up as unknown profile. I notice that your recommendation is to copy the your 'game name save' and paste the ID into my Skyrim save in the left window. Since your example doesn't address Unknown Profile fixes, should I go to the Gamer Profiles folder instead of Games folder and copy/paste all 3 IDS (Profile, Console, Device) to my Skyrim save? Or still just Profile ID? Thank you! Sorry for this second post! In Device Explorer, my USB stick doesn't 'spring load'. I am NOT connected to internet with this PC...might this have something to do with it? Horizon said I might not have access to all features if not on the web. Are you able to tell me how to get Horizon to see my USB Stick? I've fiddled around, but haven't found a way for Device Explorer to see it....thanks again!